Who is Najat Al Saghira? Soad Hosni (Egyptian Arabic:سعاد حسني January 26, 1943 – June 21, 2001) was an Arabic actress and singer born in the Bulaq district of Cairo. Soad Hosni. was known as the “Cinderella of Egyptian cinema“. She was one of the most influential actresses in the Middle East. She starred in 83 films between 1959 and 1991; about seventy of her films were shot in the 1960s and 1970s. Thereafter, at the age of 15 she was living with her mother in a Cairo neighbourhood called Shobra, by then divorced from her father, and her stepfather. Soad Hosni. was born into an artistic family. Her father was a calligrapher, was Syrian of Kurdish descent. The household of her father was known as “the home of the Artists”. His son Ezz Eddin, a music composer, taught his sister Najat music and singing. His other son Sami Hosni is a Cello player, jewellery designer and also calligrapher . Both Soad Hosni. and Najat Al Saghira, one of Hosni’s half-siblings, became super-stars in the Arab World in the arts of acting and singing. Najat Al Saghira, was a child-star who started singing at the age of 5 years in the early 1940s and continued to be a great success. 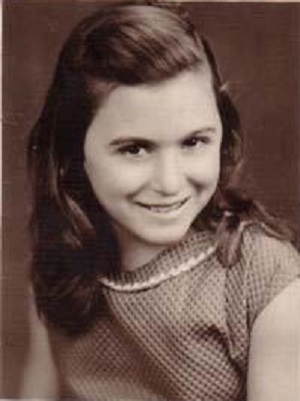 Soad also began her career at the age of three years in 1946 within a children Radio program and thus she was also child-star. This Radio program, called The Children’s Corner, was broadcasted by the famous Mohamed Mahmoud Shaaban, known as Baba Sharoo, and in it she sang her famous song “I am Soad, sister to the moon, my beauty recognised by all” before reaching the age of 7 years! . Soad did not continue and starred her first film later at the age of 15 years . In 1950s, Soad step father treated Soad well, but at the time, he was conservative and refused to send her to school. In 1957, family friend Abdel-Rahman Al-Khamisi wanted Soad, at the age 15 years, to play Ophelia in a production of “Hamlet” he was directing. It was difficult for her, she wasn’t able to recite Shakespeare well, and she would weep in frustration . But Al Khamisi sensed her acting talents and asked Ibrahim Saafan, an Arabic teacher and comedy actor , to teach her reading and writing and Anaam Salousa to give her oral acting performance lessons. 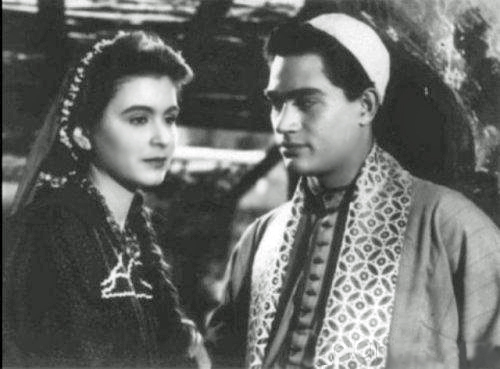 Thereafter, Mr Al-Khamisi persuaded film director Henry Barakat (1914– 1997) to test Soad for the star role of her first film “Hassan and Na’ima”. This film was based on a folk story the script of which was being written by Al-Khamisi himself. The test was successful, the film was released in 1959 and within 2 years she had starred in ten more films! In 1972, Soad’s film “Watch out for Zouzou” was released to become the biggest box- office hit in Egyptian cinema to date! This film was the longest running film in Egyptian cinemas, showing for over a year. Many and some would argue most, Egyptians know the film’s songs by heart. Soad Hosni, until her last days in London, called herself “Zouzou” . Soad starred in 83 films; a staggering number, over a period of three decades all of which were successful at the box-office with the exception of one film titled “Third Class” in 1988 . In 1991, Soad made her last film “The Shepherd and the Women” (in Arabic: Al Ra’i We El Nissa) which was directed by her ex-husband Ali Badrkhan and thus retired from filming at the age of 49 years. Soad Hosni is one of the most popular actresses in the history of Egyptian cinema. Film director Mohammad Khan wrote in Al Aham newspaper “She’s a better actress than Marilyn Monroe, I think “. 1960 Girls and Summer (story Ihsan Abdel-Quddous; co-star Abdel-Halim Hafiz). 1966 Cairo 1930 (Naguib Mahfouz’s novel, co-star Ahmed Mazhar). 1966 Too Young for Love (co- star Rushdi Abaza). 1967 Marriage Modern Style (co- star Hassan Youssef). 1967 The Second Wife (co- star Shukri Sarhan) . 1969 Some suffering (co- stars Yehia Shahin and Hassan Youssef). 1970 Lost Love (story Taha Hussein; co-stars Rushdi Abaza and Zebida Tharwat). 1971 The Choice (co-star Ezzat El-Alayli). 1972 Watch out for Zouzou (co-star Hussein Fahmi). 1974 Where’s My Mind? (Story Ihsan Abdel-Quddous; co-star Rushdi Abaza). 1975 Al-Karnack (Naguib Mahfouz’s novel; co-star Nour El-Sherif). 1981 A Dinner Date (co- star Ahmed Zaki). 1983 Love in the Prison Cell (co- star Adel Imam). 1986 The Hunger (Naguib Mahfouz’s novel; co- star Mahmoud Abdel-Aziz). 1968 Ministry of Culture Special Prize for her role in her 1967 film “The Second Wife”. 1971 Best Actress, First National Conference for the 1970 film “Sunset and Sunrise”. 1975 Best Actress, Film Society, for the 1974 film “Where’s My Mind?”. 1977 Film Society Second Conference for the 1975 film “Al-Karnack”. 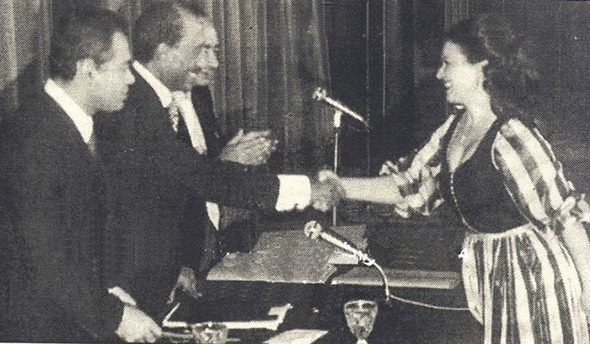 1979 President Sadat awarded her Recognition Certificate for her distinguished role in the Arts. Soad’s amazing popularity with millions of people across the Arab World has been and still is wide, varied and also covered the un-expected: here is a recent (in 2013; a dozen years after her passing-away) news-line in an Arabic Weddings website: “An Iraqi woman asked her husband to divorce her after he insisted on naming his new-born daughter Soad, after famous Egyptian actress Soad Hosni. The wife was shocked that her husband collected pictures of the late actress, and was really jealous. Their families tried to convince her and change her mind, but there was no use”! Soad Hosni was known for her glowing smile and irrepressible joie de vivre. Singer Abdel-Halim Hafiz ( for 6 years, in early 1960s). Cinematographer Salah Kurayem (for about 1 year, around 1968). Film Director Ali Badrkhan (for 11 years from 1970 to 1981). Film Director Zaki Fateen Abdul Wahab (for few months, in 1981). Screenwriter Maher Awad (for 14 years, from 1987 till her death in 2001). Her first marriage (to Abdel –Halim Hafiz) was at first rumoured, but music composure Kamadl Al-Taweel and writer Mohammad Fawzi confirmed it, so did her half-sister Janja and her London dentist in TV interviews (available on YouTube). 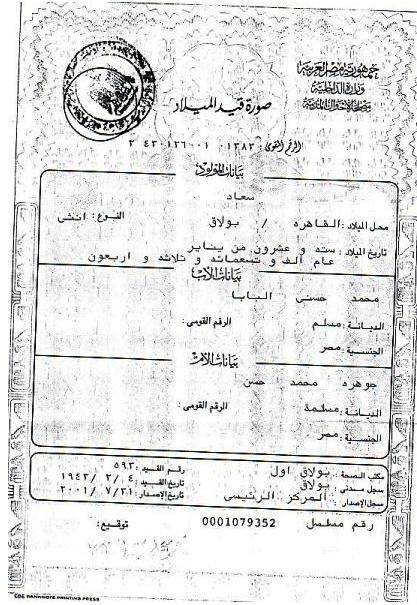 Also, Egyptian Al Ahram-online reported (in 2001) that in 1993 Soad gave an interview published in “Sabbah El-Kheir” magazine in which she said she had been secretly married to Halim for six years. Halim, at the time was 15 years older than her. He died in 1977 at the age of 48. 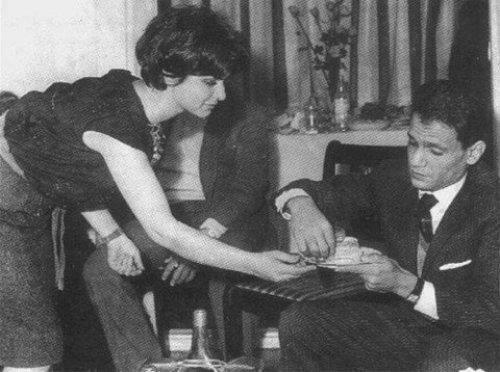 On Soad’s fourth marriage, Safynaz Kazem wrote in Al Ahram newspaper “Never had she appeared happier than during her relationship with Badrkhan. She enjoyed a simple lifestyle, far from the hullabaloo that usually surrounds movie stars and celebrities. She seemed to be in her element, quiet and composed amid the writers, poets and militant students that formed Badrkhan’s social circle“. Soad had no children; she was reported as saying “How could I have children when I am myself a child,” in one of the rare interviews she gave in the early 1990s. Nevertheless, she wanted to be a mother as she had miscarriages when she was married to Ali Badrkhan. The Saudi Gazette reported that Soad’s sister, Janja, explained Soad got pregnant twice from her husband Ali Badrkhan but miscarried because of working herself too hard. She (Janja) said: “My sister loved children very much and wished to have her own child; her hobby was to buy children’s clothes and give them out as gifts.”. 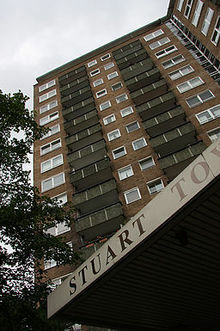 In 2001, it was reported Soad Hosni died after throwing herself from balcony at Stuart Tower in London on June 21, 2001. 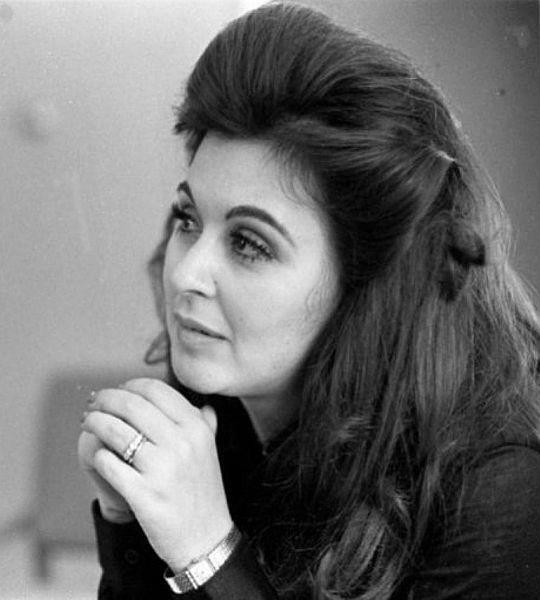 Soad Hosni came to London in 1997 to undergo treatment for back problems. Her last days in London were filled with loneliness and sorrow as she battled her disease in exile. She expressed faith, however, that she would get better and resume her acting career, which is one of the reasons why many do not believe she committed suicide. On 21 June 2001, she fell from the window of her friend London apartment. Her death remains shrouded in mystery and investigations were still on-going. In 2011, Al Aram newspaper, reported that according to some accounts, eyewitnesses claim that falling out of the window was not the cause of her death and neighbours heard shouting before the incident. In 2012, a formal legal complaint was lodged by Soad’s half-sister, Janja, who alleged that top Egyptian government officials had been behind Soad’s death. A year later, on 24 March 2013, the Judge announced the suspension of investigations into the 2001 death of Soad Hosni. He ruled that there was insufficient evidence to implicate former regime figures. 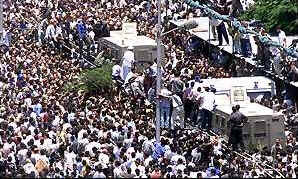 Her funeral in Cairo was attended by some 10,000 people. Soad had no children and left as her widower, her last husband, writer Maher Awad, whom she married in 1987.